Free XRP by Viewing Ads and etc.steemCreated with Sketch. 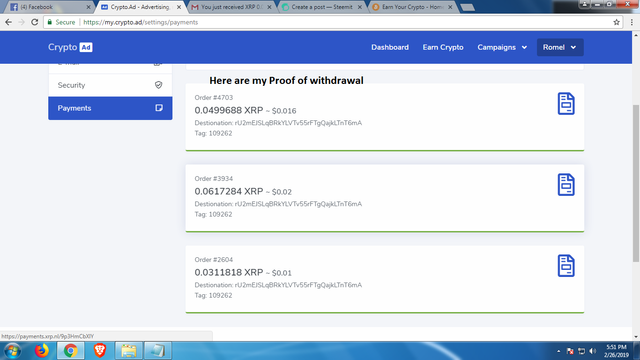 Today, I want to share a new way of earning XRP by just viewing Ads, Mining, Survey, Offer walls and more. I been doing this few months ago and the platform was great. You can earn more based on your effort and I will tell you that this platform is free and legit. 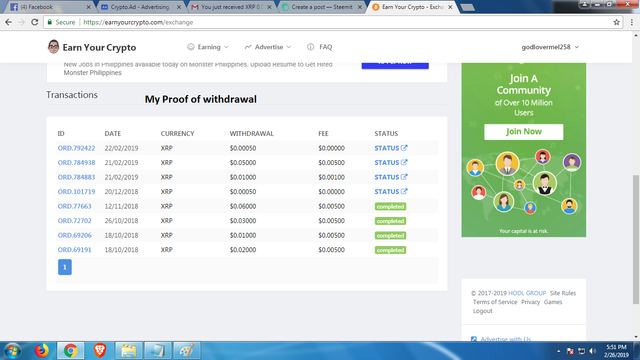 Here are my Proof of withdrawal in this platform. I hope this will help to each and everyone who will notice this post.